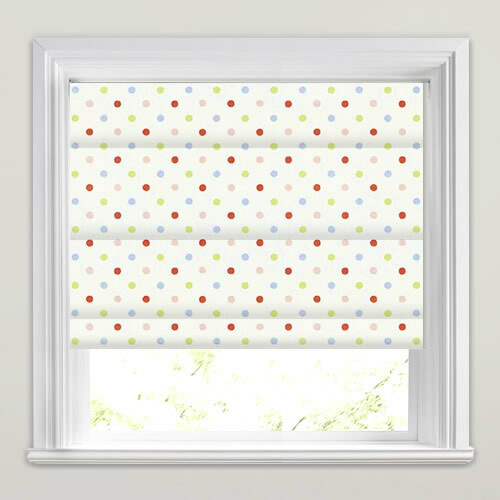 Luxury made to measure colourful polka dot roman blinds in rich hues of red, green, pink and blue on a white background. 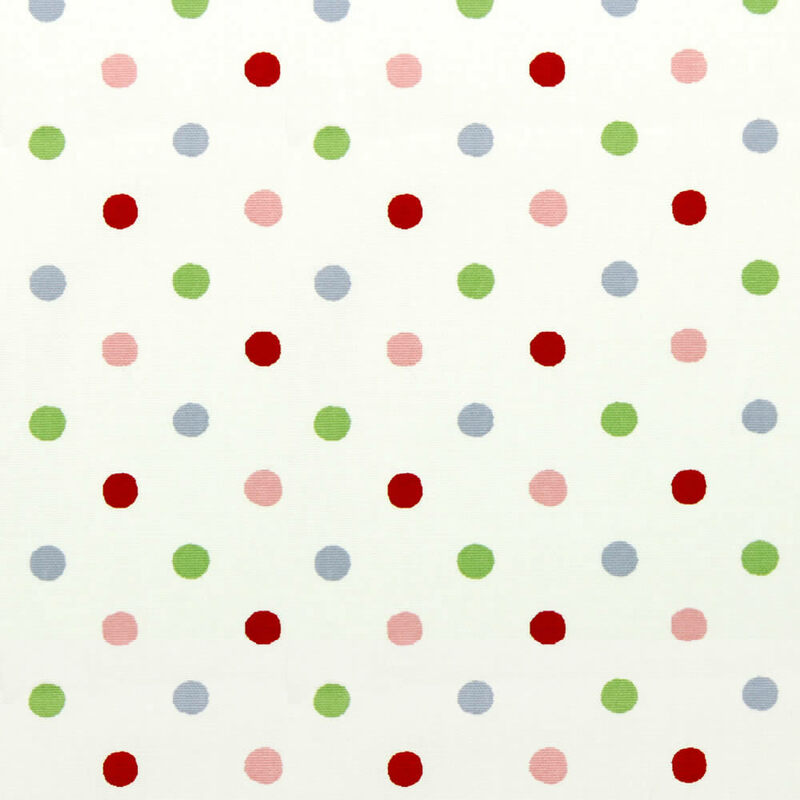 This timeless elegant fabric is a wonderful way to add subtle colour and understated design to a room’s décor. Easy to navigate website and accurate representation of designs. Ordered several designs to make decision. Simple ordering system. Delivery within a few days and product of excellent quality. Well Done English Blinds! Ordered filter blinds. Just perfect for shade whilst still being able to see through them. I rang English Blinds because I wasn't sure about my measurements and I found them most helpful. The services was fast and efficient. 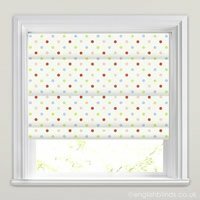 Have used English Blinds previously therefore was happy and confident using them again.